Microchanneling with ProCell is the most effective and non-invasive way for to safely improve the appearance of fine lines, acne scarring, and hyperpigmentation, among other issues. Microchanneling will keep you looking and feeling younger longer! Light Emitting Diode (LED) phototherapy is the application of light energy to tissue to obtain therapeutic benefits by improving cellular performance. Research has shown that phototherapy can: increase circulation, accelerate tissue repair, decrease wrinkles, decrease inflammation, improve skin tone and wrinkles, texture and clarity, ease muscle and joint pain, stiffness, spasm and arthritis and kill acne bacteria. 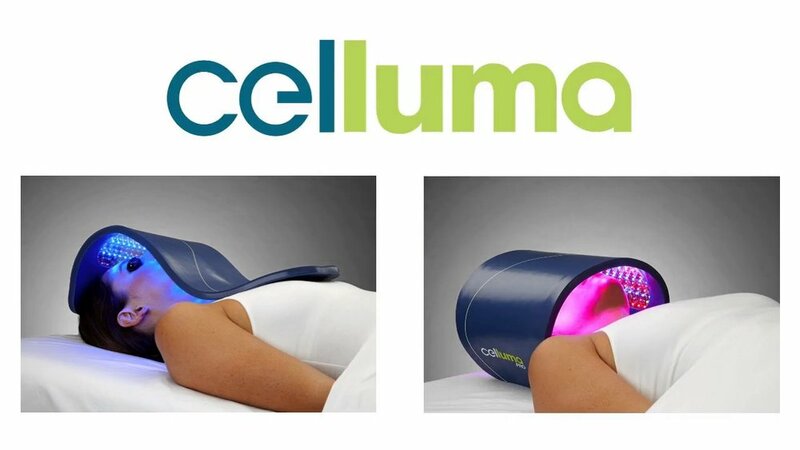 Based on NASA research, Celluma delivers blue, red and near-infrared light energy simultaneously to safely treat a wide variety of conditions. Each wavelength is absorbed by different molecules that act as a signaling mechanism for different cellular processes. For example, some reduce inflammation while others kill bacteria. This allows for a wide spectrum of therapies to treat a wide variety of skin conditions.